Our largest cutting capacity loppers. 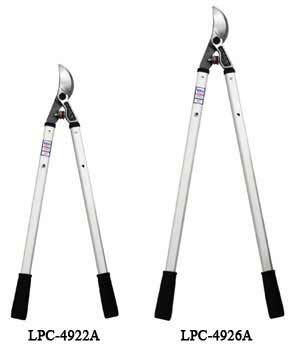 These shears can cut up to 2.5" diameter branches! The blades are drop forged for superior cutting leverage and durability. High strength aluminum handles are lightweight and hold up to continuous use. The centerbolts are specially shaped and hardened to avoid spreading.